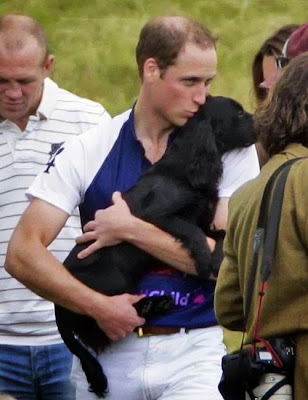 Clarence House have denied that Kate Middleton and Prince William's dog, Lupo, was the animal responsible for emergency services being called to the Middleton family home in Berkshire on Friday.The royal household confirmed that Lupo, a black cocker spaniel, did not get his head trapped in a gate, which resulted in an animal rescue team arriving at the Middleton's £4.85million Georgian home. Lupo has been the Duke and Duchess of Cambridge's dog since December 2011 when he was born to the Middleton's family dog, Ella.The couple have showered Lupo with affection and have been spotted walking him in Hyde Park and took him to a polo match in Ascot last year.It is believed that Lupo is being looked after by Kate's parents, Carole and Michael Middleton while she now waits at Kensington Palace in the days before she gives birth. Click link for full post from Hello Magazine.